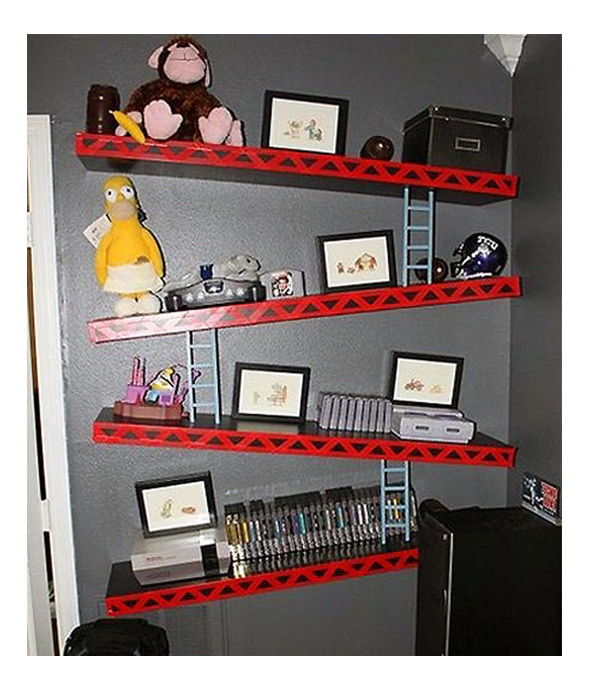 Check out this Donkey Kong platform shelf unit. 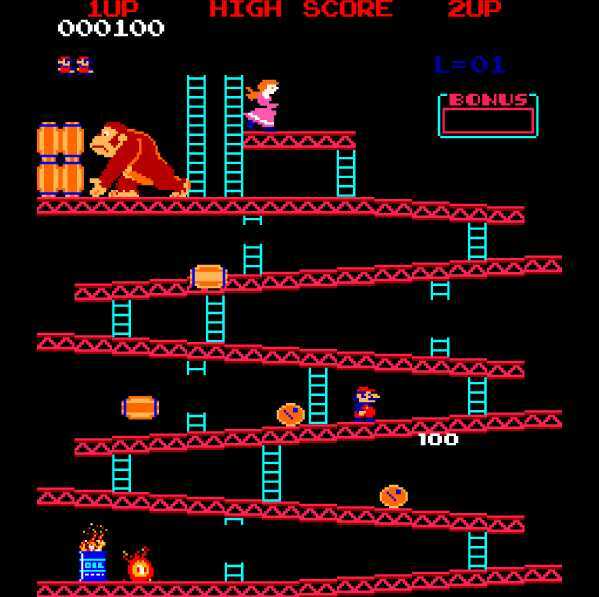 Released in 1981 Donkey Kong from Nintendo was one of the early platform games (it is sometimes said to be the first platform game, although it was preceded by Space Panic) have paved the way for the games of today. Not sure if they shelves come with nonslip surfaces if not you need a few packets of blue tack. The detailing on the shelves is also awesome which includes the blue ladders, Donkey Kong himself and Jumpman otherwise known as Mario in the form of Homer… sweet.